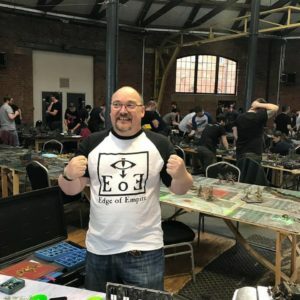 Edge of Empire is a project suggested by Graham, when he decided he wanted to figure out ways to talk more about the Horus Heresy with the gamers in the North East of England and beyond. Michael had occasionally dabbled in podcasting and already had a bunch of gear, so when Graham suggested starting a podcast, he leapt at the chance to join him. 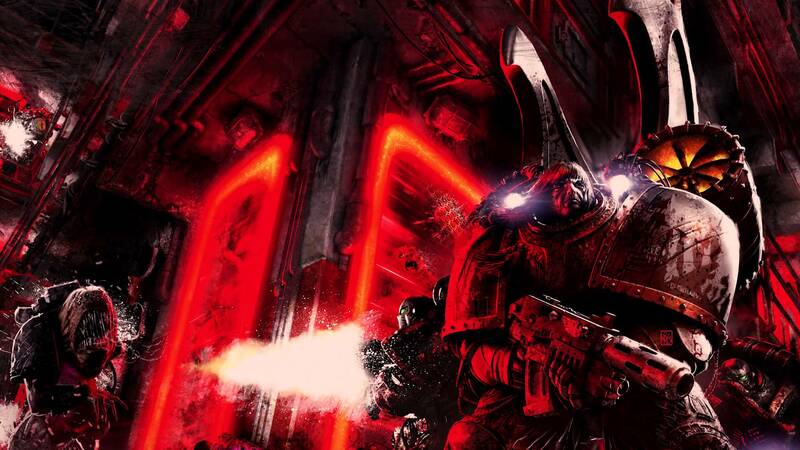 Since picking up one of his elder brothers space marines back in the nineties when he could still rock a bugs bunny jumper (one of his ears flapped it was amazing – Chris) he has always had an interest in the battle ravaged universe of the 41st and 30th millenniums. Finally getting his own Chaos Space Marine army around the time of the 3rd edition codex the wicked tendrils of the dark gods took their hold, going on to over time play Chaos Space Marines, Daemons, Space Marines, Grey Knights and a large Imperial guard (He refuses to call them Astra Mili…nope not going to happen) army that became a labour of love and still 14 years later is not completely painted! 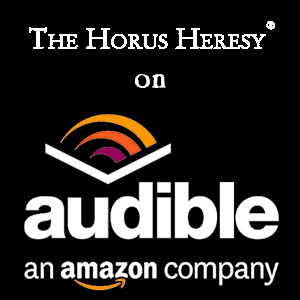 Once the Horus heresy became available he knew that’s where he wanted to be and he choose the VIIth Legion, The Imperial Fists. Whether through design by the Emperor to balance his Eldest brother’s traitorous ways, or just dumb luck no one can say. Now 7500pts later he wouldn’t have it any other way. With the Release of book seven Chris has slowly Built a reasonably sized Legio Custodes list which he is using more and more regularly. 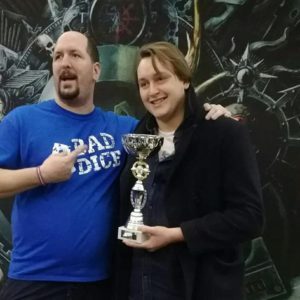 Not the most regular player on the scene clocking up an average of 10 games a year, He loves the hobby (except the painting) and everything that goes with it. Graham has always been a gamer. He started painting miniatures way back on the mid 80s for playing dungeons and dragons. However, he didn’t get into wargaming until the mid 90’s (when he finally started earning enough to afford one!) Playing Warzone with some friends at mates flat in Hove. His first 40k army was an Ulthwé Craftworld force back in 3rd edition, but soon moved on to a Khornite World Eaters in the glory days of Chaos Space Marines. He moved up north and started playing at Durham Raiders were two things happened, 1) He stopped playing regular 40k and started playing narrative based Heresy games and 2) He meet Michael. Together they set up and run the Heresy North East England Facebook group. 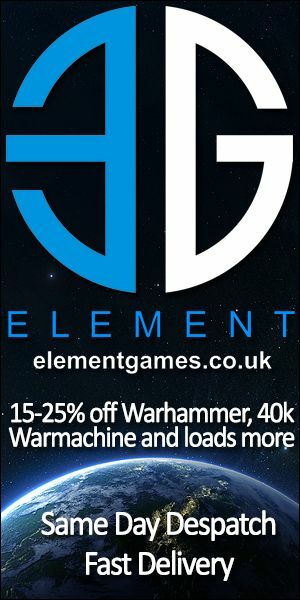 Graham had been running one day Heresy events around the North East of England and Michael had been running the “Kings of the North” and the first Company of Legends Heresy weekender so they expanded their collaboration and started doing a podcast about all things Heresy before the last years Company of Legends and have been doing so every month (nearly) since. Graham has a love of all things tank related and has been running his Iron Warriors armoured breakthrough lists at various events across the country, although recently has branched out into infantry actually appearing in his lists, although his favourite tactic of hiding behind a defence line and shooting things seems to work for both types of army! He has over 14k of Iron Warriors and keeps telling himself that that is enough, but still seems to be buying and painting for the mighty IVth Legion. The thing about Iron Warriors is you can never have too many! Recently though he has, started to build and paint a World Eaters army in the off chance having to assault things may actually get him to advance the occasional model. 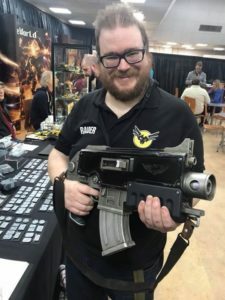 Michael has been involved in the hobby since he bought his first pack of Combat Cards at Woolworths and the leaflet inside soon had him collecting Fantasy armies of Lizardmen and Chaos Dwarfs. He later fell out of the hobby after he went away to university, then got a job, married and bought a house, but his forlorn looks inside the doors of Games Workshop caused his wife to frogmarch him in one day and buy Assault on Black Reach, and he was then back in the hobby for good. He is known for having a rather large backlog of project for various different systems and his girls now regret him getting back into the hobby as he is a bit of a hoarder. Seriously, don’t ask him whats in his pile, its ridiculous! In Heresy, Michael has a 13,000 point Ultramarines army, a 6,500pt Word Bearers army and a Space Wolves army currently not built bar a couple of models. His first game of Heresy saw him start as he meant to continue and saw his Ultramarines get beaten royally by Phils Solar Auxilia!